We aren’t selling you a pre-packaged or pre-configured island. 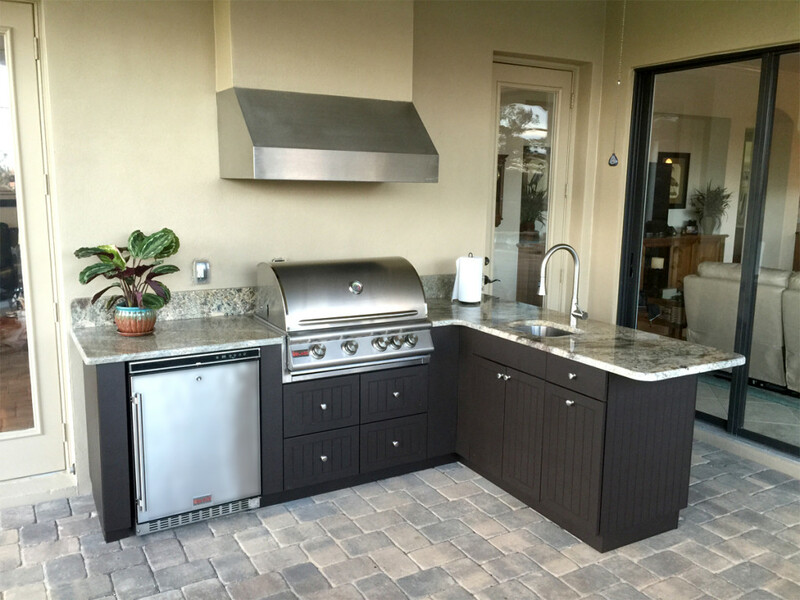 Our outdoor kitchens can be adapted to fit your unique needs, space, and budget. That is quite different than “one size fits all”. 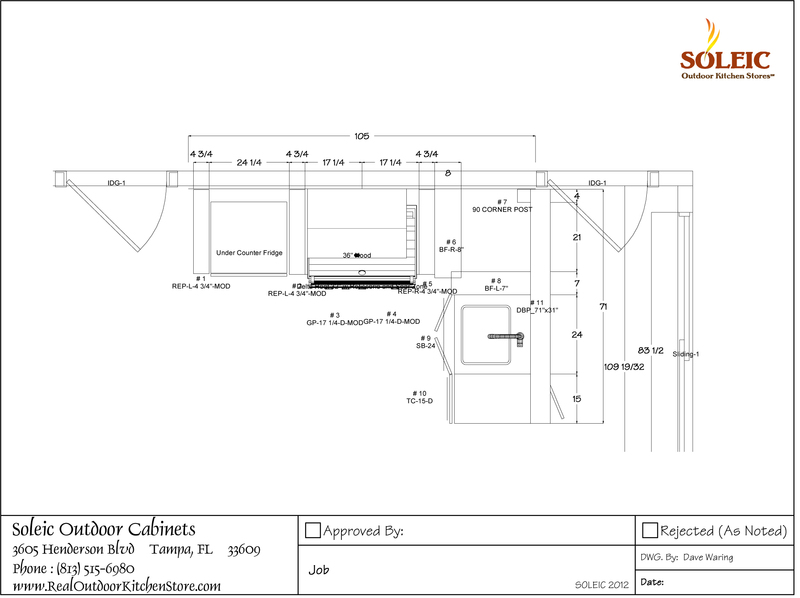 Our designers have the expertise to work with you and plan the best outdoor kitchen for your situation. 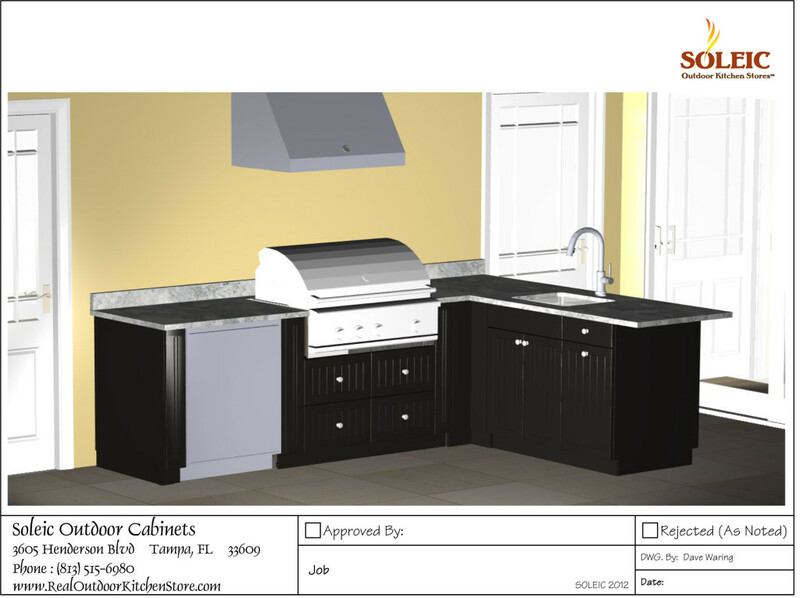 We have the best design tools to show you a realistic 3-D rendering of your outdoor kitchen before you even spend one dime on the project. Plan View from an actual job as part of the Free Design Service. A 3-D rendering is created so you will know exactly what your project will look like before you spend one dime. The finished job, looking very much like the rendering. No surprises.